Last year was a banner year for single-family home sales in Bristol TN and VA.
Twin Cities resales’ year-over-year annual growth rate dramatically outperformed every other city market in the 2017 annual Trends Report from the Northeast Tennessee Association of Realtors. 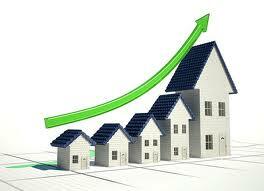 According to that report, single-family resales were up 16.4% in Bristol TN and 16.1% in Bristol VA. The only other city market with an annual year-over-year increase was Elizabethton, up 5%. But when the annual average price performance is compared to 2016, the Twin Cities didn’t fare as well. The best annual year-over-year gains came in Erwin, Elizabethton and Johnson City. Erwin, up 14%, an $18,253 improvement. Johnson City, up 6.9%, a $14,316 improvement. Elizabethton, up 11.2%, a $13,062 improvement. Kingsport, up 6%, a $9,656 improvement. Bristol VA, down 6.2%, a $7,426 decline. Bristol TN, down 4.9%, a $7,310 decline. Greeneville, down 1.3%, a $1,763 decline.